Jones Manufacturing is a York-based component manufacturer and supplier for many different industries including automotive, building, food, pharmaceutical, medical and wire. We take advantage of our strategic location to Routes 30 and 83, which contributes to ease of service and delivery within a 75-mile radius. Our company, which began as a co-existence with another firm, grew to its current size of a 17,000 square foot facility and 15 employees. We now serve customers who operate regionally and nationally, with components being shipped around the globe. 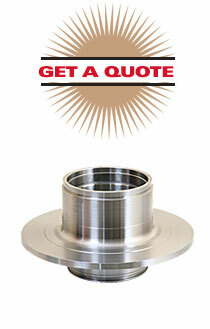 Our desire is to provide the best quality components and services to our customers that they can receive anywhere.